Finding the perfect venue for your summer holiday with friends or family can sometimes be a minefield. Perhaps there are children involved, grandparents even and everyone has different interests and requirements. Here we have come up with our 5 favourite, luxury private homes to rent for exclusive use, that each have their own ‘wow’ factor. Which one would you go for? If you like contemporary and modern style this castle has it in bucket loads. Situated in the wilds of the Highlands of Scotland, this stylish castle, designed by acclaimed Boston architect Moshe Safdie is at the heart of a family owned 60,000 acre estate (the size of Los Angeles!). There is an abundance of wildlife and majestic scenery which, combined with the unique style of the castle, never fails to impress anyone lucky enough to experience it first hand. A host of activities is available from fly fishing for brown trout, pony trekking and mountain biking, canoeing and motor boating to visits to the Isle of Skye, Loch Ness and the many local whisky distilleries. ‘Wow’ factor – the contemporary and modern style of the castle. Set in the heart of the Suffolk countryside within the ‘Garden of Suffolk’, where better to escape than here? 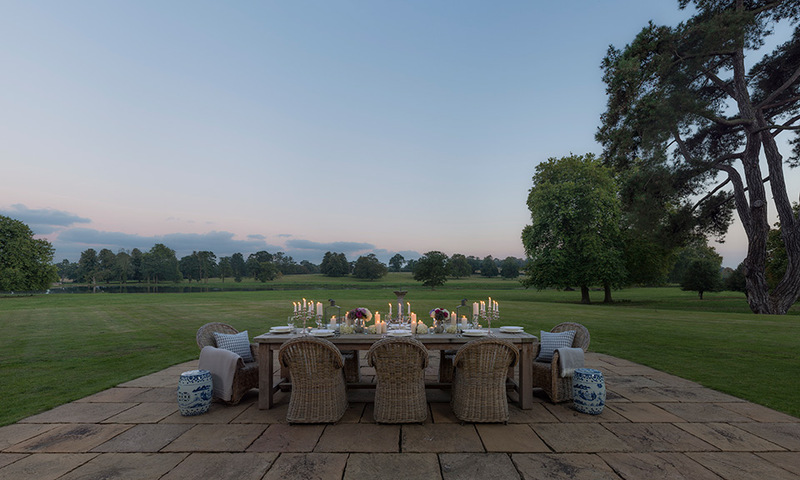 This completely renovated and thoroughly modernised (including fully equipped gym, cinema and games room), large, seriously luxurious Georgian country house is surrounded by over 4,500 acres of its own land with landscaped park, lake and woodland rides. The long serpentine drive winds through the park and is screened from the house by parkland trees and planting until the view opens up across the lake to the façade of this grand house. Shooting, fishing and golf are just three of the many activities on offer. There is also a tennis court and a modern sunken swimming pool to enjoy as well. ‘Wow’ factor – the ultimate wilderness and acres of private land to explore and enjoy. This palatial property takes its design influence from the original ‘Straffan House’ which is now the hotel at world famous, The K Club. Set in 550 acres of mature parkland, this house was built in 1832 by Hugh Barton of the well known Barton and Guestier Wines. The original house was based on a magnificent chateau at Louveciennes, not far from Versailles. This splendid contemporary mansion was meticulously constructed in 2005 and combines the architecture of a bygone era with all the comforts and convenience of elegant, contemporary living. Distinctly French in style it bears all the hallmarks of a magnificent and elegant country retreat. Furnished to an exceptional standard, the house is home to many original artworks , including works by Sir William Orpen and JB Yeats amongst others. All the bedrooms are exquisitely decorated and are ensuite. There is a magnificent indoor swimming pool complete with ‘swim up bar’, there is a spa, gym, cinema, games room and a glass-enclosed, thermostatically controlled wine cellar. 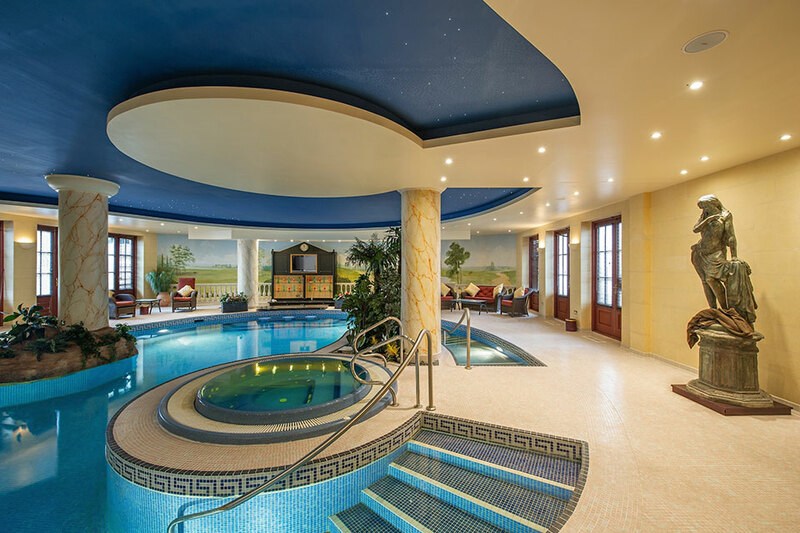 ‘Wow’ factor – the magnificently opulent indoor swimming pool with ‘swim up bar’. This immaculate, large country house is hidden away up a private drive and is surrounded by an old English forest and 40 acres of parkland. Beautifully positioned, this home has been built to an incredibly high standard and really does boast amazing facilities with every kind of high-tech device you could want. Attention to detail is key, it is extremely comfortable and deeply luxurious. The house has wonderful facilities to entertain all ages including a cinema, two lane 10 pin bowling alley, Moroccan themed den, swimming pool and hot tub, snooker room, tennis court, trampoline, gym and sauna, table tennis and pinball. 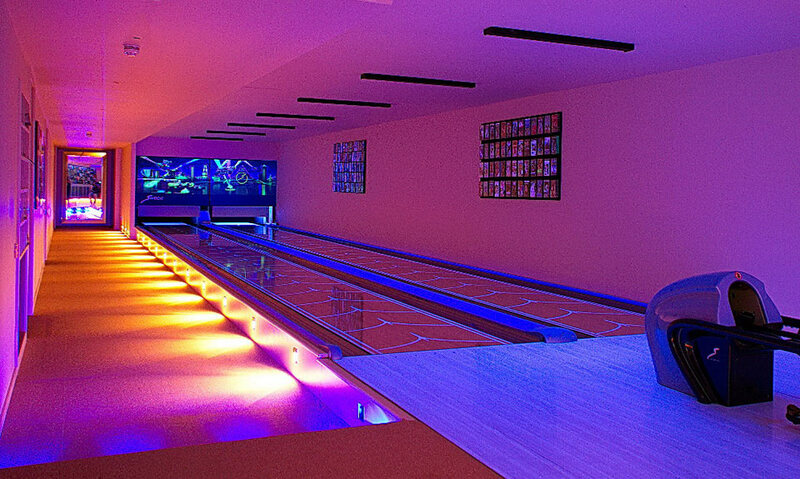 ‘Wow’ factor – the two lane, 10 pin bowling alley. Situated in a dream location, nestled on the banks of Loch Ness, offering the best in authentic Highland Estate living. This is the only habitable castle on the shores of Loch Ness. Stroll through the formal gardens or woodland on the 500 acre estate; wander from the opulent drawing room or library through the elegant dining room and into the billiard room for plasma screen video, Bose audio and snooker entertainment. Then it is up the well worn stone staircases to luxurious state bedrooms, meticulously restored to their former splendour. There is a private marina from which to embark onto the loch, to enjoy the splendour of the world famous Loch Ness, either in a fast RIB or more sedately in a peaceful rowing boat. 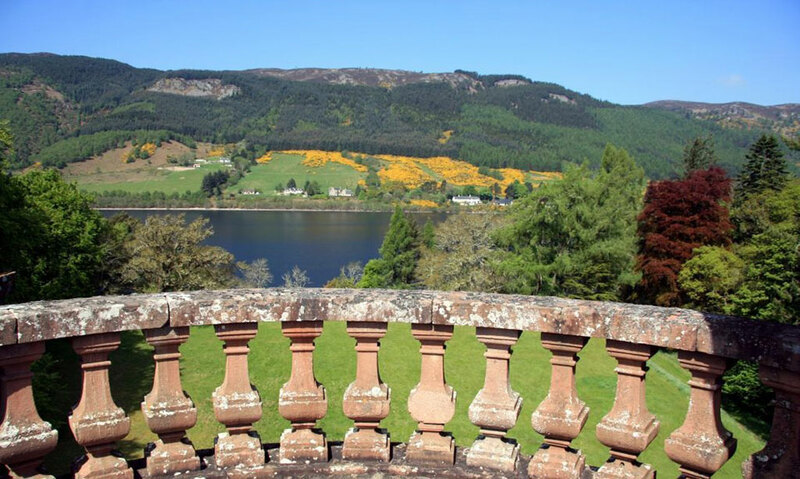 There is so much to do here in this wonderfully remote and magical location including a boat cruise on Loch Ness, archery and falconry, hill walking, clay and game shooting and stalking, horse riding and bicycling. ‘wow’ factor – staying on the banks of Loch Ness. A huge thank you to our good friend Annabel Wishart, Travel Consultant at Loyd & Townsend Rose (www.ltr.co.uk) for writing this fantastic article.